Since launching in April 2018, Laura has brought onboard a collection of great brands to add to her store’s collections, including Montar, Chillout, HiHo Silver, Equetech and SuperXcountry. Laura has also brought onboard two brand abassadors – one being us (Team Tunnah Eventing) & the other Wiola from Aspire Riding Academy. And has bolstered #teamboudica with three brand associate members too - Linda Todd of Patchy Dressage Pony, Fiona Murray of Macmurraysr and Ally of Ally Approved. Laura has successfully built up a very happy customer base, who love the clothing that they purchase & appreciate the care and attention that Laura puts into each & every order. 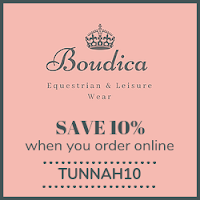 Boudica Equestrian stocks jodphurs, leggings, baselayers, t-shirts, jumpers, jackets, jewellery & competition wear, so whatever your riding needs, Boudica will have something for you. 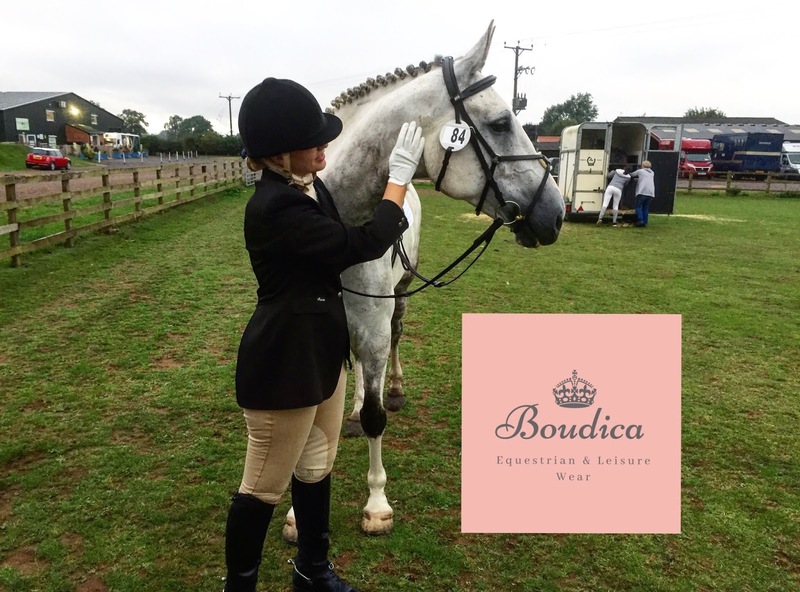 Boudica Equestrian is available online as well as holding pop-up shop events – take a look at the Events page to see if there is one coming to near you soon. A special treat for my followers too! GREAT NEWS for you too!! 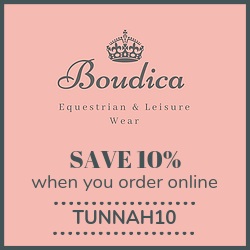 Using TUNNAH10 you can save 10% on all of your online orders when shopping at Boudica Equestrian! Plus...it's FREE delivery on al UK orders. 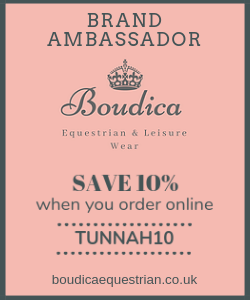 Here’s my top picks from the ranges available at Boudica – remember to use your 10% too!! With autumn upon us, it won’t be long before our t-shirts and short sleeves will be hidden away until the spring. This long jacket is just what everyone needs to keep dry & warm throughout the winter, at the yard and out and about. It’s got a carefully placed split up the back to allow it to sit elegantly across the back of your saddle while riding, and even has a faux-fur trimmed hood for those super cold days! Invest in being warm this winter with this quilted jacket. So, clearly I’m all about keeping warm this winter! But it couldn’t be easier with a range of baselayers from Chillout brought to you by Boudica Equestrian. Available in pink, navy and grey, these long sleeved layers are perfect for fitting underneath any item of clothing so those cooler days at the yard. Plus, they are smart enough to wear away from the yard should you be on the school run or supermarket dash! Take a look at the Chillout baselayers and order yours ready for the cooler months! Becoming increasingly more popular are riding tights and leggings, so if you have tried them, maybe you should. These riding tights from Equetech provide great support and promise to keep their shape, while also having a sticky grip on the inner thigh for extra stability. There’s even a zip pockets for your phone – including those extra large iPhones!! Find out what all the fuss of riding tights is about with this Equetech item!